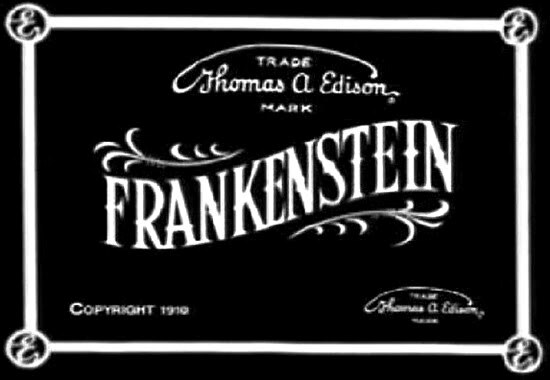 It was a century ago this week that the above title card first flickered on a screen as the first Frankenstein film unspooled. Click HERE and watch the Edison Frankenstein! “In making the film, the Edison Company has carefully tried to eliminate all the actually repulsive situations and to concentrate its endeavors upon the mystic and psychological problems that are to be found in this weird tale." The first Frankenstein film was released on March 18, 1910. The image above announces the later release of the film in England. The 12-minute film was shot in January of 1910 at the Edison studios on Decatur Avenue, in The Bronx, New York. In an era when film were made in just one day, three whole days were lavished on this production, no doubt due to the demands of elaborate makeup and the special effects of the creation and mirror scenes. Frankenstein was overseen by J. Searle Dawley, serving as producer, writer and director. 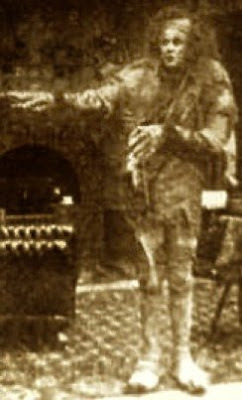 A former actor, stage manager and vaudevillian, Dawley had been hired by Edwin S. Porter of the Edison Company in 1907, specifically to direct. He would later lay claim to the title of “the first motion picture director” because, until then, “the cameraman was in full charge”. Dawley would direct well over 200 silents, including Rescued from an Eagle's Nest (1908), a thriller famous for its scene of a baby carried aloft by an eagle, and the acting debut of one D.W.Griffith. The same year he made Frankenstein, Dawley traveled to California as one of the leaders of a movement that would see filmmaking in America switch to the West Coast. In 1917, he became the first secretary, under Alan Dwan, of the newly formed Motion Pictures Directors Association. Dawley quit films in 1927 to work in radio. In Dawley’s Frankenstein, the scientist literally cooks up his Monster in a boiler-cabinet. 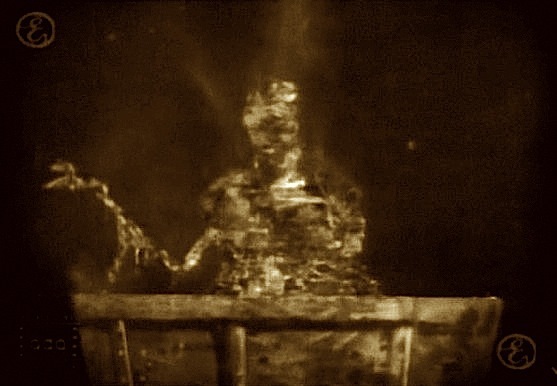 A dummy of the Monster, complete with a movable arm, was set afire and the film was reversed so that we see The Monster apparently assemble itself in a cloud of roiling ash and smoke. Frankenstein is overcome with horror and remorse at the sight of his horrible, hairy creation. 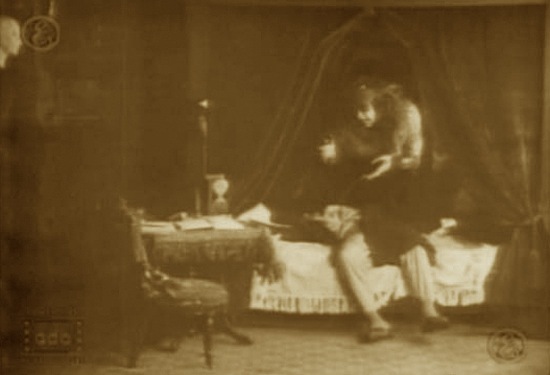 In the one scene straight out of Mary Shelley’s novel, The Monster appears at the bed curtains to hover balefully over the collapsed Frankenstein. In the final scene, as he looks at himself in a full-length mirror, The Monster vanishes, but his reflection remains. Frankenstein enters and sees himself as The Monster in the mirror. The image of The Monster dissolves and is replaced by Frankenstein’s reflection. The title card reads: “The creation of an evil mind is overcome by love and disappears¨. The concept of Frankenstein and his Monster as being intimately connected, perhaps even one and the same, has since been explored in countless retellings. The part of Frankenstein is essayed with gesticulating fervor by Augustus Phillips, an actor whose otherwise unremarkable film career spanned the next ten years. The small part of Elizabeth was secured by Mary Fuller, an actress whose popularity would go on to match that of Lillian Gish or Mary Pickford, albeit briefly. She retired, abruptly, in 1917, and lived the rest of her life as a recluse. The Monster of the film is played by Charles Ogle, a respected and prolific character actor who would appear in over 300 silents. It is assumed he designed the makeup for The Monster, though helping hands must have been recruited to assemble it. The grimacing Monster has a deformed skull, wild hair, big bandaged feet and hands like dead tree branches. He wears rags slung with ropes. Frankenstein was just one of thirty films released by the Edison Trust that week. It seems that Frankenstein had the typically short distribution life that most films could hope for back then. Copies were sent through the exhibition circuit and soon returned to the Edison lab and destroyed, their silver content recycled. Cinema art and technology progressed rapidly in those days and, a mere five years later, the theatrics of Frankenstein were already old hat. The film was to be forgotten for half a century. 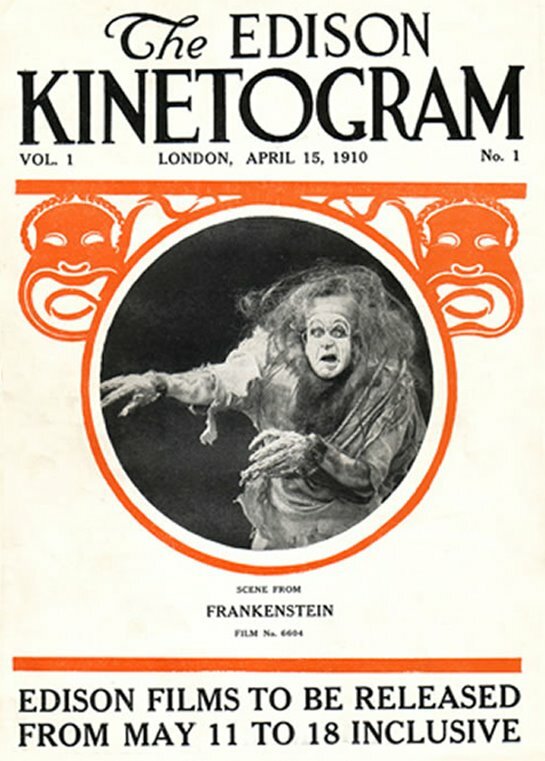 In 1963, a copy of the March 15, 1910 issue of The Edison Kinetogram trade magazine surfaced with a picture of the Ogle Frankenstein and a synopsis of the film. 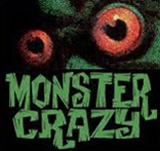 Among other sources, Famous Monsters of Filmland carried an article about it and, almost overnight, the film became one of the most sought after of all “lost film”. Against all expectations, it did not remain lost for long. An eccentric collector and archivist, Alois F. Dettlaff, Sr., revealed that he owned a complete print of the now famous film. While some historians are grateful to Dettlaff for preserving the film, there are others who accused him of hoarding an historical artifact. Dettlaff circulated copies with proprietary markings on the screen, and is said to have lobbied the Academy of Motion Picture Arts and Sciences for an Oscar in recognition of his work saving the film. It was all for nothing. Dettlaff passed away, alone, in 2005, and since then the film has become an ubiquitous download on Internet film sites. The film is usually referred to as “The Edison Frankenstein”, but the real-life scientist and experimenter, Thomas Edison, only ushered the fictional scientist, Frankenstein, into the world of films in his remote capacity as president of the Edison Kinetograph Company. There is no record of Edison himself mentioning the film or, for that matter, even seeing it, from among the veritable torrent of product his company churned out every week. Charles Ogle is now remembered as the first Frankenstein Monster of the Movies. 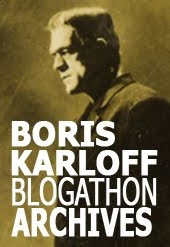 Humorously, perhaps, the actor who made a his career in silent films lends his name to the Ogle Awards for Best Fantasy/Horror Audio Production of the Year, sponsored by the American Society for Science Fiction Audio. View or download the film on Archive.org. Review and analysis of the film on And You Call Yourself a Scientist, and a good, in-depth article on Film Buff On Line. The Wikipedia page for the film carries the plot writeup from the original Edison Kinetogram. Obituary of Alois Dettlaff on Film Buff On Line.